Should The Oilers Claim Bryan Bickell Off Waivers? There were some interesting rumblings coming out of Chicago the past few weeks and the Blackhawks have placed forward Bryan Bickell on waivers in the hopes of getting some cap relief for the Brent Seabrook contract that kicks in next season. Now a deal with the Edmonton Oilers for Nikita Nikitin straight up did not work out for whatever reason, but would it be worth it for the Oilers to now claim Bickell for nothing on waivers? Edmonton has two question marks in their top six to start the year. Teddy Purcell is questionable to be ready for the opener and Jordan Eberle is out until early November with a shoulder injury. The Oilers next best options right now are to insert rookies Anton Slepyshev and Leon Draisiatl into the top six as stop gaps but that gives Edmonton three rookies on their first two lines including Connor McDavid. Ask any Oilers fan who has watched over the past few seasons and that isn’t a viable option to start the year. Edmonton has a very tough schedule to start the season and another slow start to the year could mean meaningless games in January, as has been the norm. The time for rebuilding is over, it’s time to start moving forward. Bickell, 29, comes with a $4M cap hit with two years left on a deal before he becomes a UFA in 2017 but if you’re looking at this as a hockey move there are tons of options that make sense here. Edmonton has been guilty over the past few years of using too many similar player types; smaller, speedy forwards with puck skills. Bickell offers the Oilers a power forward that can play up and down the lineup in varying roles. The Oilers will rely on pairings as the skeleton of their roster and flesh it out with the remaining players moving around the roster. This is the Oilers projected opening night roster. Hall/McDavid, Pouliot/Nugent-Hopkins, Lander/Yakupov and Letestu/Hendricks make up four pairings the Oilers will build their lineup around this season. With that methodology towards the lineup Bickell can play RW on either line in the top six or LW on the third line with Lander and Yakupov. The two best options are to play him with Hall and McDavid on the top line to give them a player that can crash and bang to make space for the ultra-talented duo. It worked for Jonathan Toews and Patrick Kane in the past, a change in scenery could do the same in Edmonton possibly. The initial rumor was that the Blackhawks and Oilers were involved in some trade talks to do a potential Nikita Nikitin for Bickell deal but that fell through for a few different reasons that haven’t exactly been made public at this time. Edmonton currently has $5.1M in cap space and taking on Bickell would leave them just $1.1M and have them up against the cap. At the end of the season the Oilers have $19.3M coming off the books but need to reallocate that money towards; an extension for goaltender Cam Talbot, a backup (either Ben Scrivens, Anders Nilsson) and possibly an extension for Justin Schultz. Even then there are dollars available because the core of the team is locked up and Edmonton still has McDavid on a three-year ELC. A straight up trade of Nikitin for Bickell didn’t work. Nikitin comes off the Oilers books after this season, whereas Bickell doesn’t come off the books for two seasons. The next wave of Oilers are on the cusp as well with Leon Draisaitl and Anton Slepyshev pushing for NHL minutes. Both are currently pegged to start the year in Edmonton and one can play on the second-line with the defensively responsible Nugent-Hopkins and Pouliot. 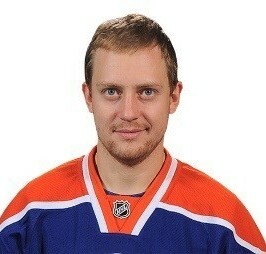 The other will play with Lander and Yakupov and see softer minutes. That means Korpikoski moves to the fourth line and Bickell plays on the top line with Hall and McDavid or the Oilers move one of the two into the top-line spot and move Bickell to the third-line with Lander and Yakupov. There are options. Once Jordan Eberle and Teddy Purcell come back they’ll get pushed down the roster and it won’t exactly be an albatross to keep Bickell on a third-line, something his Hero chart suggests is his best utilization. This is the $4 million dollar question that everyone is asking and this is where teams are going to get leery, especially for the Oilers. Far too many times the Oilers have taken chances on players they shouldn’t be hoping they discover some magic beans and things pan out. It’s time to have some caution and make an educated decision here, especially with a power-forward like Bickell who is starting to show some wear and tear. The hero chart shows he’s a decent third-line forward who can go up and down the lineup and he’d be a great piece that might be what a guy like Yakupov who needs to show more than a few flashes of brillance and show he can live up to his draft status. 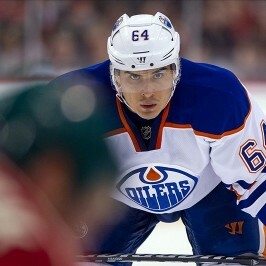 The hope is that Yakupov can score 20 goals this season in a best case scenario that would make fans happy, he’ll need space to do so. One thing that hurts Bickell is that he takes too many untimely penalties and the Oilers need to stay out of the box and out of their own end trying to kill penalties, something that wasn’t a strong suit in 2013-14. All in all if Edmonton can see reason to pay Bickell $4M for two seasons or be comfortable buying him out at the end of the year for $1.5M for two seasons there is grounds to consider doing this before Saturday. The flip side is that it really is difficult to justify paying someone $4M who hasn’t produced more than 17 goals and 37 points in a season. 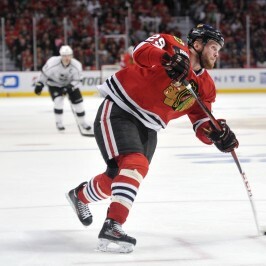 Bickell’s contract is inflated largely due to his 9 goals and 17 points in 23 playoff games during the Blackhawks 2013 Stanley Cup Championship.